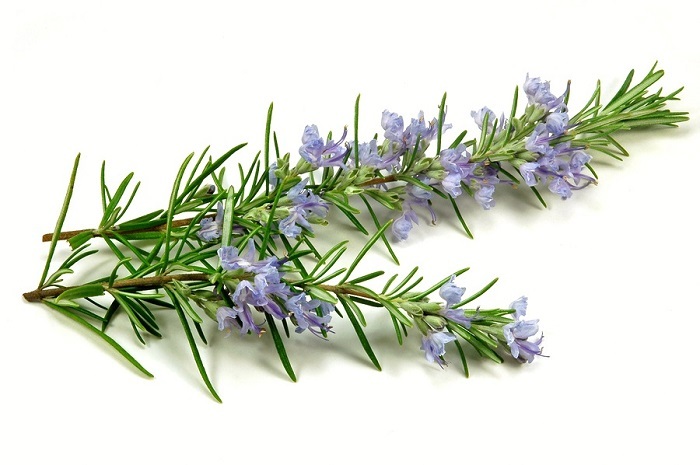 Rosemary, the fragrance and taste of which is unique when compared to the other members of the mint family, is a herb whose leaves look and smell like the leaves of a pine tree. The leaves of the rosemary plant are deep green in color on the top and silver-white underneath. Though rosemary leaves are most popular for their taste and rich aroma, nutritionists are of the opinion that rosemary leaves are rich in health benefits and therefore, should be a part of your regular diet. Moreover, rosemary plants are not difficult to grow because they do not require much care for cultivation and are perennial plants. According to agriculturists, even the moisture carried by the soft breeze blowing from the seas is sufficient for the proper growth of rosemary shrub. Traditionally used to strengthen human memory, the rosemary plant today is believed to be the carrier of many nutrients. So what are you waiting for? Purchase your rosemary herb today and loose yourself in its pungent taste while benefiting from its nutritional values at the same time. Check out some of the many healthy benefits of rosemary in the lines below. The rosemary herb has been in use as a food seasoning and as a natural medicine for over a million years now. It was originally grown in the Mediterranean regions only, but over the years, the cultivation of rosemary has spread in the temperate climate areas of Europe and America. Initially, rosemary was used only for the purpose of strengthening memory, but today, the other medicinal properties of the herb have also been recognized. The ancient Greeks used to adorn the heads of students with rosemary sprigs before examinations since the herb possessed memory enhancing powers. Similarly, branches of rosemary were thrown into the graves of the dead as a symbol of remembrance. The English used rosemary in their various customs and celebrations and also in their costumes as gifts or as decorative pieces. It was in the 14th century that the oil was first extracted from rosemary and used in the preparation of Queen of Hungary water, which emerged as one of the most popular cosmetics used during that time. Gradually, the importance of the herb and its oil were realized and rosemary became an important component of digestive medicines during the 16th and 17th centuries. Nutrients present in rosemary help in stimulating the human immune system, improving the circulation of blood in the system, and assisting in quick digestion. Anti-inflammatory components present in rosemary help in reducing the risk and severity of asthma attacks. Rosemary’s role in strengthening memory is widely known. Consumption of rosemary increases the flow of blood to the head, especially the brain. This phenomenon helps in stimulating concentration. Carnosic acid present in rosemary protects the brain from free radicals, thereby lowering the risk of cerebral strokes and neurodegenerative diseases, like Alzheimer’s. Carnosol present in rosemary is an anti-cancer agent; thus, protecting the human body from cancer and preventing against the harmful effects of chemotherapy during the treatment of cancer. Rosemary oil and rosemary tea have been extensively useful for stimulating hair follicles, thereby giving you longer and stronger hair. Besides, rosemary oil reduces premature hair loss and graying of hair. Regular massaging of rosemary oil tones your skin and removes dryness. Furthermore, it is regarded as a beauty aid for the face. Rosemary essential oil has been useful in relieving pain associated with headaches, muscle pains, sore muscles, rheumatism, and arthritis. Throat congestion, respiratory allergies, cold, sore throat, bronchial asthma and flu are successfully treated with rosemary essential oil due to its antispasmodic properties. Potential health benefits of rosemary are associated with disorders in menstrual cycle, menstrual cramps, peptic ulcer, urine flow, gall bladder, prostate, intestine, liver, cataract, heart, sperm mobility, leukemia, kidney stones and related pain. 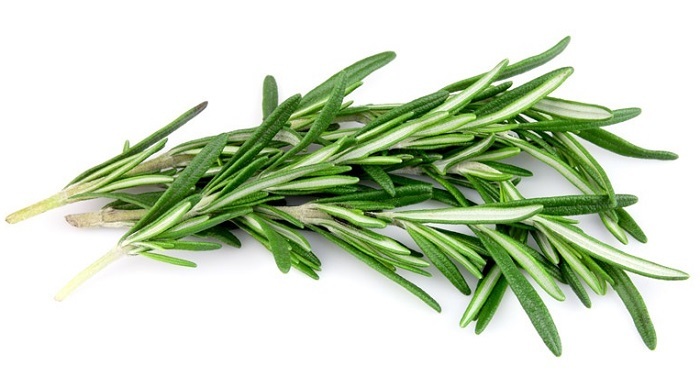 Rosemary has about 331 calories per 100 gm of weight. Purchase fresh rosemary as opposed to the dry form of the herb. Fresh rosemary is superior in flavor than dried rosemary. Buy rosemary sprigs which are deep sage green in color. The leaves should be free from yellow or brown color spots. Visit the local store and purchase the rosemary herbs available there. Local stores not only provide more variety but also offer fresher rosemary plants as opposed to supermarkets stores. Buy only organically grown rosemary. This will ensure that the herb has not been irradiated and is also comparatively low on pesticide residue as opposed to the inorganically grown rosemary. Irradiated rosemary has less carotenoid, an important nutrient of the herb. Store fresh rosemary in the refrigerator in the packet in which you have purchased it from the market. You can also store the same in a damp paper towel. Place fresh rosemary shrubs in ice cube trays before placing them inside the freezer. Cover the ice cube trays with water or stock before placing them in the freezer. Dried rosemary should be placed in an airtight container and stored in a dark, cool and dry place. This way, rosemary can be stored for up to six months.